Officials at the Court of Appeal on Sunday said they would rule on Russian oligarch Sergei Polonsky’s extradition to Moscow as planned, refuting claims by the ex-billionaire’s lawyer last week that the case had been suspended. Mr. Polonsky—who was charged by a Moscow court in July with embezzling some $176 million from investors in an unfinished residential development— was arrested on Koh Rong off the coast of Sihanoukville on November 11 at the request of Russian authorities. 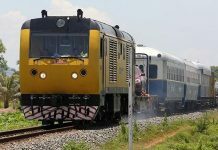 Although senior Cambodian officials at the time promised to have Mr. Polonsky extradited to Moscow as soon as possible, the Preah Sihanouk Provincial Court announced last week that it would soon resume hearings in the businessman’s year-old assault case. 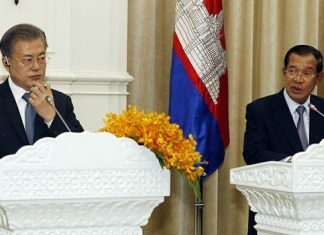 On Thursday, Mr. Polonsky’s lawyer, Alexander Karabanov, told Russian media that Cambodian court officials would postpone his client’s extradition until after his earlier assault case is finished. “Polonsky will be transferred to another prison, and extradition hearings will be postponed until a trial on [the] Cambodian charges is over,” RIA Novosti quoted the lawyer as saying. But Tan Senarong, a judge at the Appeal Court—which is responsible for ruling on the extradition of foreign nationals—on Sunday said there was no truth to Mr. Karabanov’s reported claims. “The Appeal Court has not decided to postpone the hearing,” Judge Senarong said. “The pretrial chamber of the Appeal Court will hear this case, and then the judges will review the [extradition] request,” he added, declining to say when the decision would be made. 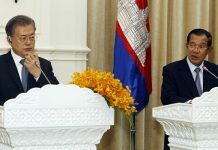 In January, the Preah Sihanouk court charged Mr. Polonsky and two fellow Russians with assault following a dispute with Cambodian boatmen last December. The oligarch spent three months in the provincial prison and was released on bail on April 3, although the charges against him were not dropped. Preah Sihanouk court officials could not be reached Sunday.